January’s Debatable brought a favorite author to the forefront of fond reminiscing: C.S. Lewis. Known primarily for his classic allegorical tales of Narnia where Aslan represents Christ, Lewis did not start out as a children’s author. Growing up without a mother (she died of cancer), he spent his early years in boarding school. Proving himself an superb student, he attended Oxford University and eventually began teaching English at Magdalen College, Oxford from 1925 to 1954. Lewis brought up in the Protestant Church of Ireland, strayed from his beliefs as a teenager, and he might have been further influenced by his childhood tutor, an atheist. However, as Lewis studied and taught, his readings brought him to the understanding of how Christ was at the center of many of the old writings. His further involvement with “The Inklings,” a group of academics and writers, which included Tolkien, Lewis converted to theism, a belief in God. With his found discovery of religion, Lewis began a solid reputation as an apologist, with books such as The Screwtape Letters. He refrained from making specific references to a particular denomination in his writings, and remained an Anglican. During World War II, three evacuee children came to stay with him, and he appreciated their joy of childhood. Combining this experience with his interests in mythology, Lewis decided to write a story based on his long held image of a faun carrying an umbrella and packages. 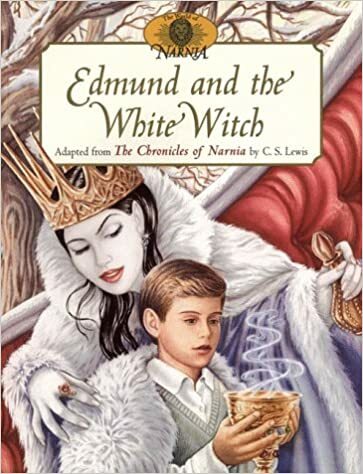 The Lion, the Witch, and the Wardrobe started the popular Narnia Chronicles, and the seven book series remains popular, having influenced generations of readers. There is more to C.S. Lewis beyond his unexpected popularity as a children’s writer. There is his relationship with Tolkien, his commitment to taking care of Mrs. Moore, his devotion to his brother, and his marriage to Joy. His story is a worthwhile study of how someone can survive loss and embrace a sincere appreciation of restoration. I first met C.S. Lewis in a summer cabin as teen in high school. Somewhat bored, I picked up a book lying on a table, since the cover had caught my eye. It reminded me of A Wrinkle in Time, that hinting of cosmic adventure awaiting a set of children. I casually began reading it, ignoring my friends, and only slightly feeling self-conscious about reading a book belonging to my friend’s kid sister. I was hooked and sought out the series. Read them all. Began reading the other works of Lewis (though not as enamored of them), watched Shadowlands, wrote a college paper on the influence of Medievalism in Narnia (had to convince my instructor on that one), and anticipated a movie that did the series justice (umm, not the BBC version), and rejoiced when one finally did arrive and was able to share that joy with my children, having waited ever so long for Mr. Tumnus to arrive. It was a memorable experience to pass on my joy of Narnia to my grand kiddo one summer visit as we read the book out loud together. The joy doubled when I realized my daughter was casually eavesdropping and added in her comments about Mr and Mrs Beaver. Generational book bonding is bliss! C.S. Lewis died the same day JFK was assassinated. The interest in Lewis and his works continues to influence readers, academics, believers, and those who wonder “what if” about traveling to other worlds, other places to discover the end place is only the beginning.